This was the perfect book to read if you're looking for something that short that will grab you and not let go. This book was so good I ended up reading it in one sitting because I didn't want to put it down until it was over. 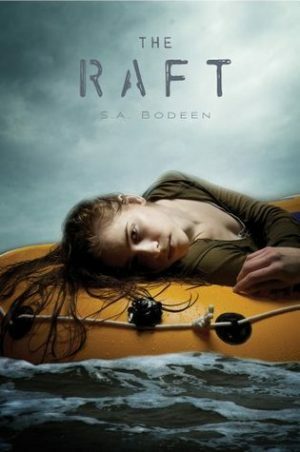 Robie did what she had to, to survive and I thought she was so strong for that. There were a couple of times I thought 'why didn't she do this?' but then I remember she was fifteen. Most fifteen-year-olds wouldn't know how to survive on a deserted island without their cell phones. Robie was brave in a lot of ways but I also thought she was stupid in one big way. All of this could have been different if she told someone she was leaving. Why the hell didn't she tell her aunt she was going back home? I do not understand that at all. That plot twist at the end blew my mind. I did think Max was a weird character but I didn't think that was the reason why. I was floored that the author was able to pull that off so seamlessly. Kudos for that! Seriously wish I could blab what happened but I won't do that. As far as, survival books go I think this is one of my favorites. It was really good. I wish there were a little more to it but that's okay. There were some chapters when nothing happened because they were just floating on a raft in the middle of the ocean so not much going on. Aside from dehydrating and starving of course. While this may not be a book to read before you go on a plane it is a book I recommend.